Marable’s conclusions reflect the fact that the outpouring of love and honour shown by African Americans at the time of his assassination show they have always held him in high esteem despite ideological or programmatic differences. Positive public opinion of Malcolm X among whites, however, as Marable writes, is a new phenomenon. For most whites, during and after his life ended, Malcolm X served as little more than a symbol of imagined reverse racism and the supposed danger of violence by African American men. Disdainful attitudes among the police (especially white officers, detectives and the “brass”), as recorded by Marable in the book, reveal the level of fear and hate many in the power structure held for Malcolm X. The decision by Doubleday, the original contracted publisher for the famous Autobiography, to drop the book after the assassination also suggests the level of hostility that corporation felt whites held toward the civil rights leader. Spike Lee’s epic 1992 biopic X and the emergence of the multicultural popularity of hip hop, which frequently appropriated images of and words by Malcolm X, helped to change those hostile perceptions of the civil rights leader, however. The widespread use of the Autobiography of Malcolm X (as told to Alex Haley), especially in universities, also played an important role in propelling this change, Marable explains. In these settings, the autobiography has often been read as a “rags to riches” tale; a story of the poor but exceptionally intelligent Black man who rises to his calling, a narrative that fits well with the dominant individualist “bootstraps” myth of American social mobility. Marable carefully shows the extent to which that famous book should be viewed sceptically. His reading of the record of the communications between Malcolm X and Alex Haley, as well as those between Haley and agent and publishers, for example, show Haley delaying publication for more than a year because of Malcolm’s own rapid, ongoing ideological transformation as well as the drama over his break with the Nation of Islam. Haley repeatedly asks his publishers for more time in order to gain a stronger sense of how these changes were impacting Malcolm X’s thinking and the new directions he sought to move in. Even further, three important politically laden chapters were not included in the final book. While the Autobiography remains one of the most significant American political works of the 20th century, it shouldn’t be regarded as the definitive account of Malcolm X’s life. For example, as Marable documents, Malcolm X’s description of his criminal exploits in his early life are likely exaggerated in the Autobiography. Marable points out that through this exaggerated account, Malcolm X sought to replicate the myth of “bootstraps” in a new framework, where the story of personal transformation takes place not within and because of an idealised capitalist democratic America, but rather despite the realities of a society rife with inequality. Malcolm wanted to highlight the impact the Nation of Islam – the discipline, education, and sense of community pride it instilled – had on his life. Within the organisational framework of a separated and idealised community that rejected white supremacy and the pervasive denigration and structural inequality it imposed on African Americans, Malcolm X sought to suggest his personal narrative was proof of America’s failures and of the Nation’s righteousness. Later he would seek to have it read as the potential for self-actualisation through the political struggles of the world’s oppressed, Marable suggests. It is in this context – the unrelenting critique of white supremacy and colonialism – that his life must be read. In addition, the common refusal by his critics to examine the transformative and transformational elements of Malcolm’s thought and work is no longer warranted. Marable’s work makes plain that attempts by his critics to dismiss him as simply violent or racist or separatist is baseless. Controversial elements of the book – corruption and questionable practices in the Nation of Islam, sexual infidelities, sexuality, infighting, Marable’s reading of the events and subsequent police investigation of the assassination – should not detract from the importance of Malcolm X’s life or from our joint effort to understand his contributions to American radical politics. Those difficult details humanise the man and the people who surrounded him. The controversial dimensions of the story also highlight the importance of unity, the need to forge political and communitarian alliances across and through socially constructed differences, something Malcolm increasingly saw as the most important factor in the struggle against white supremacy. Other features of the book add to the political significance of Marable’s work. Marable’s meticulous use of secret FBI and police surveillance files reveals an important part of the story. The role of police and FBI informers and agents within Malcolm X’s and the Nation’s circles is given detailed examination. 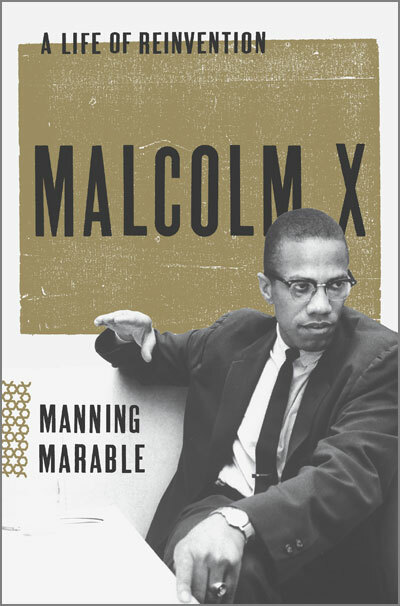 Marable also relentlessly critiques and contextualises sexism within the Nation and in Malcolm X’s thinking and life, though his ability to reinvent and develop his thinking, as well as the fact that women were leaders among the people who gathered around him in the Organisation of Afro-American Unity, suggest the possibility that this behaviour, too, may have taken a turn had he survived his conflict with the Nation of Islam. Much has been made of Marable’s examination of Malcolm X’s sexuality and the threads of evidence that suggest he may have had sexual relationships with at least one man. That this informed speculation has been labelled “allegations” or “charges” or “accusations” suggests the need to still take steps forward with respect to an egalitarian understanding sexual orientation. Human sexuality isn’t a crime. And I for one feel a deeper connection to Malcolm X’s humanity knowing he may have sought physical and emotional intimacy with other men. Is he a new gay icon? Probably not yet. This is one of the most important new books out this year. Readable and ground-breaking, it will be hard to put down once you begin reading it.